Today I have new card to share with you. 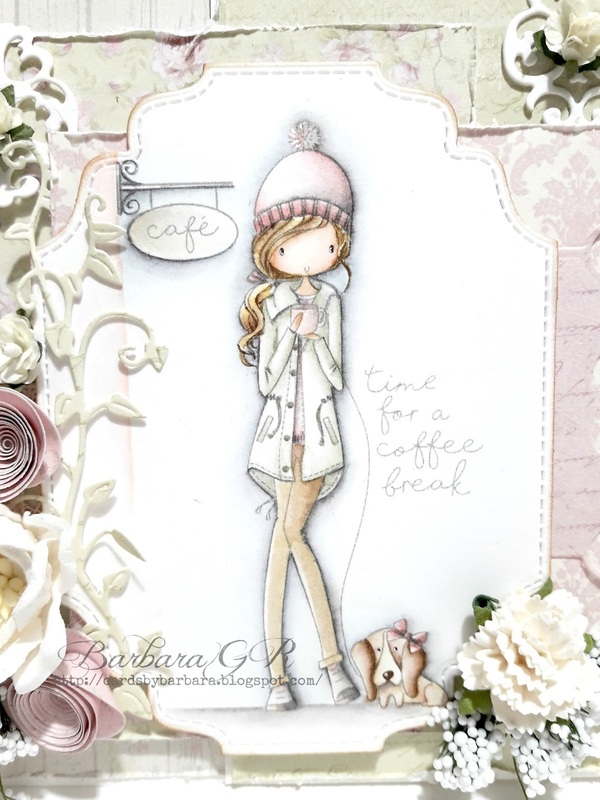 I'm in love with the newest LDRS creative stamps... so... for my card I chose All Dresse Up Time For a Coffe Break stamp. I used few different dies from my collection. With the first oneI cut out my image... "Fancy Rectangle & Layers Die". The second one from LDRS collection is "Majestic Rectangle Label Dies"... and "Gilded Oval Die Set". I've also used Marianne Design Craftable Vines and Roses Roll Up Die 2. Papers used are from Pion Design Where the Roses Grow collection. I wish you a beautiful weekend!! !